With the 2018 elections quickly approaching, we will be running a series on some of the old campaign literature produced by candidates in Elk Grove. 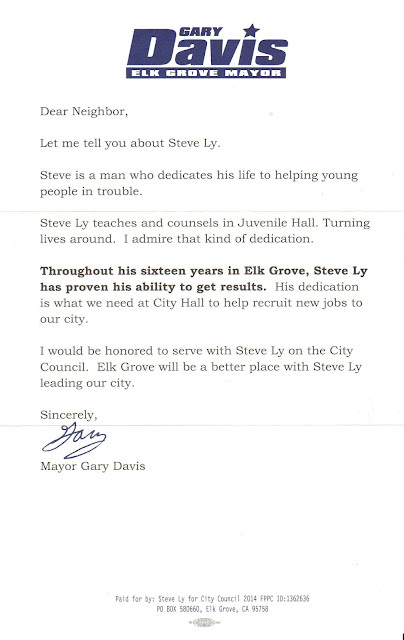 Today we feature a letter from then-Mayor Gary Davis sent on behalf of Steve Ly. At the time, Ly had served for two years on the Elk Grove Unified School District board of trustees after his landslide victory over incumbent Jake Rambo. Not satisfied with his role on the less visible EGUSD board of trustees, even though it has a much large budget and greater geographic reach, Ly decided to make the jump and run for the Elk Grove City Council. Ly's most prominent ally was Davis. 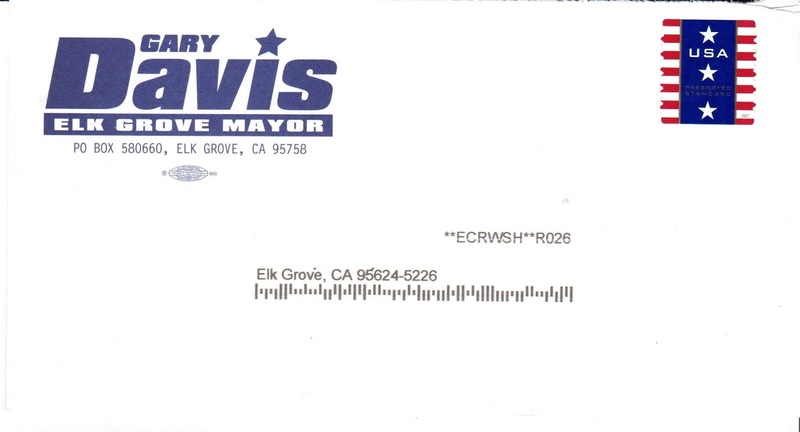 As noted in this letter, Davis promised together he and Ly would bring jobs to Elk Grove. As is typical in these type of piece, the truth proves to be a very elastic commodity with Davis claiming that "throughout his sixteen [sic] years in Elk Grove, Steve Ly has proven to get results." What those results were, we are not entirely sure. If you have a piece of old campaign literature you would like to share, contact EGN.